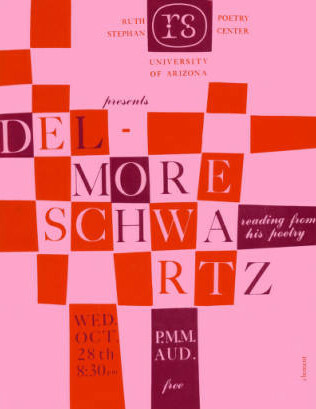 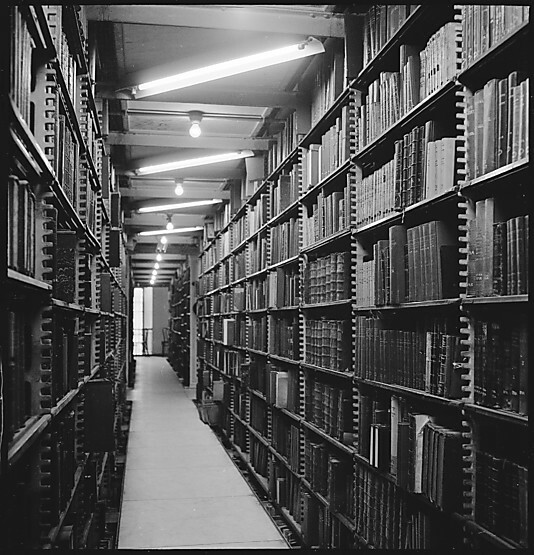 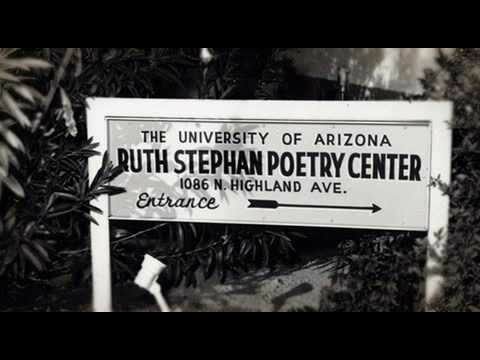 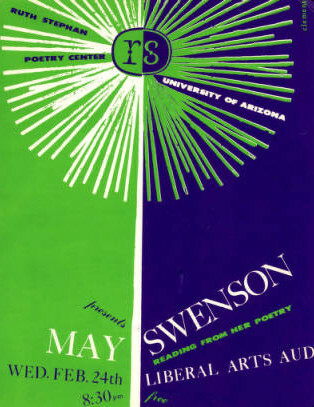 In 1962 The Poetry Center launched its seminal reading series. 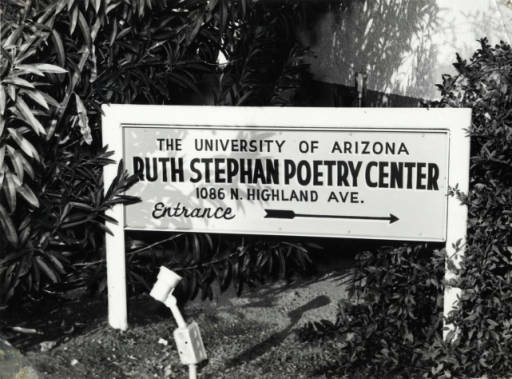 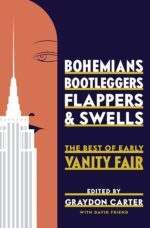 Inaugurated by Stanley Kunitz the series has hosted more than 1000 writers over the years including most major contemporary U.S. poets. 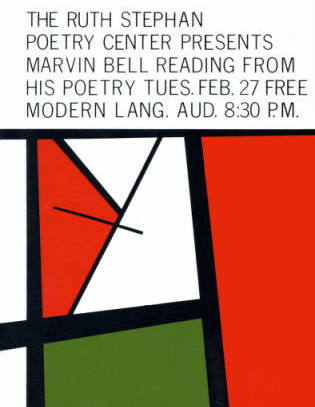 To promote the readings the poetry center produced some pretty visually striking posters. 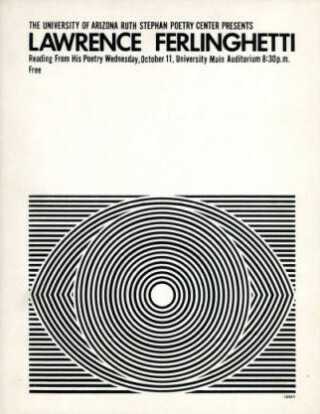 Visual art students from the University collaborated with the Poetry Center to create the posters. 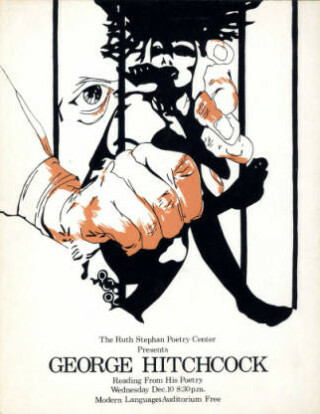 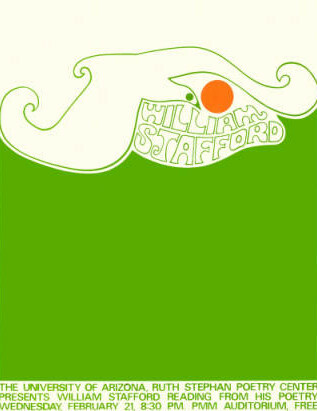 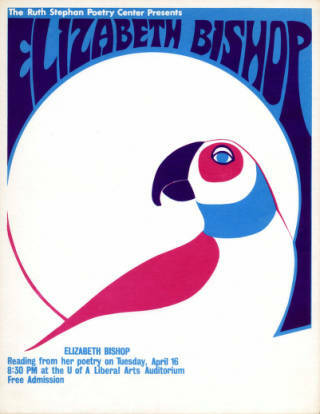 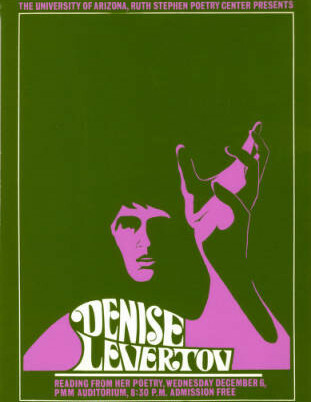 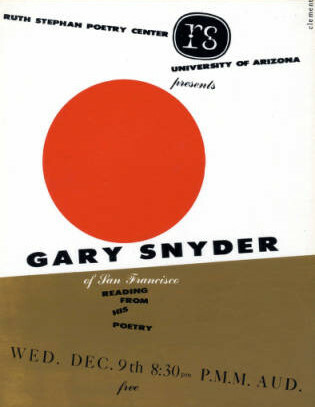 Then Poetry Center Director Richard Shelton initiated a student competition to produce designs for these posters; with the winning design for each reading then produced by a professional lithographer and distributed widely.